(MENAFN - Daily Outlook Afghanistan) Syria has long been an important centre for pan-Arab ideas in modern times and has been considered as the heart of Arabism. Since the beginning of the Arab nationalist movement in the late 19th and early 20th century, Syria has hoisted the banner of Arab nationalism. But after the beginning of civil war in 2011 Syria got diplomatically isolated in the Arab world but dynamics are changing now in Syria's favour. Recently President Bashar al-Assad told a Kuwaiti newspaper that Syria had reached a 'major understanding' with Arab states after years of hostility over the country's civil war. Assad reveals that Syria and several Arab nations are on the verge of resuming diplomatic relations. This is the first interview that President al Assad has given to a Gulf media since the beginning of the civil war. Many Arab countries are courting the Syrian government as now that the civil war is almost over. Arab states are rethinking their next steps to deal with the status quo in Syria, coming to the realization that they will have to cope with the presence of Syrian President Bashar al-Assad at least for the near future. Moreover, Damascus remains attentive to its changing regional environment and Syrian diplomacy is also eagerly searching for Arab allies. Let's have a look at some important Arab state's rapprochement towards Syria. Saudi Arabia- The most significant indication of a possible shift in Saudi-Syrian policy was when Saudi Crown Prince Muhammad bin Salman made a surprising statement to Time magazine that 'Bashar is staying. Saudi Arabia for a quiet a while now is seeking to pull Assad into the Arab fold so that it can weaken his alliance with Iran. Egypt- Egyptians seem to have come to the reluctant conclusion that ending the conflict is a more pressing need than replacing the Assad regime. They think the destabilizing impact of the war, particularly the rise of ISIS, is more of a concern than the continuation of Iran's long-established influence in Damascus. Hence Cairo looks more tolerant towards Syrian Government. UAE- UAE Minister of State for Gulf Affairs Anwar Gargash in June this year said in a statement to prominent Middle East newspaper 'The National that he regretted Syria's suspension from the Arab League as it had shut off a major conduit for regional voices in pushing for peace talks and a negotiated settlement to the conflict. Earlier this year, Syria flagship airliner resumed flights to an airport in the emirate of Sharjah in a move that potentially indicated improving trade relations between the two states. 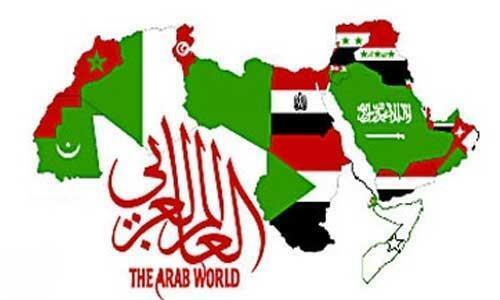 It seems more or less now Arab world is willing to take Syrian into its fold. But Syria now to be fully integrated into Arab world and play a dominant role has to redefine its political approach in the region. President Assad has won the military war but he has to be victorious in another one that's to reconstruct Syria which can only be achieved by realigning with Arab world.